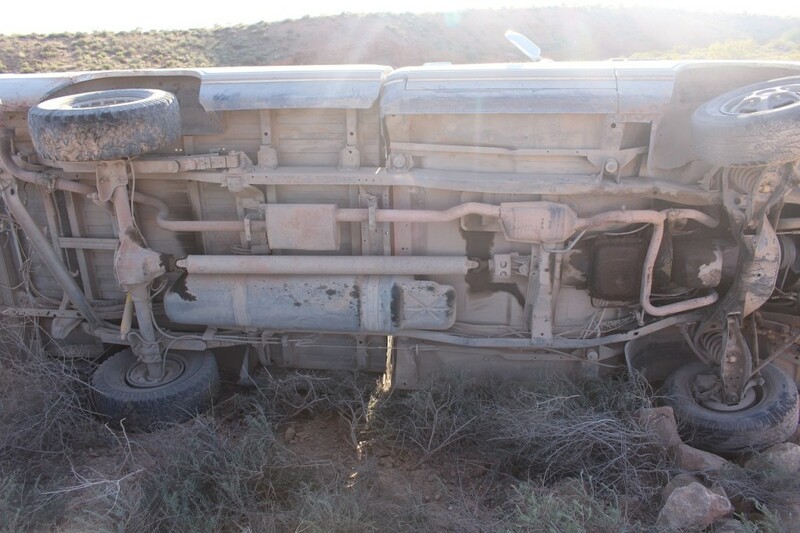 ARIZONA STRIP— A driver was uninjured after losing control of his truck and rolling it off a dirt road after failing to negotiate a curve on the Arizona Strip Thursday evening. 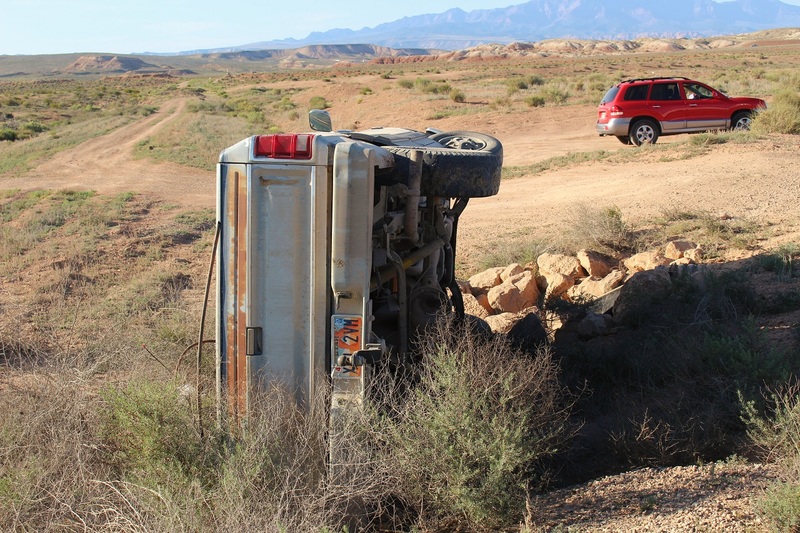 Just after 6 p.m. Thursday the St. George Communications Center received a report of a rollover on the Mt. Trumbull Loop in the Arizona Strip. 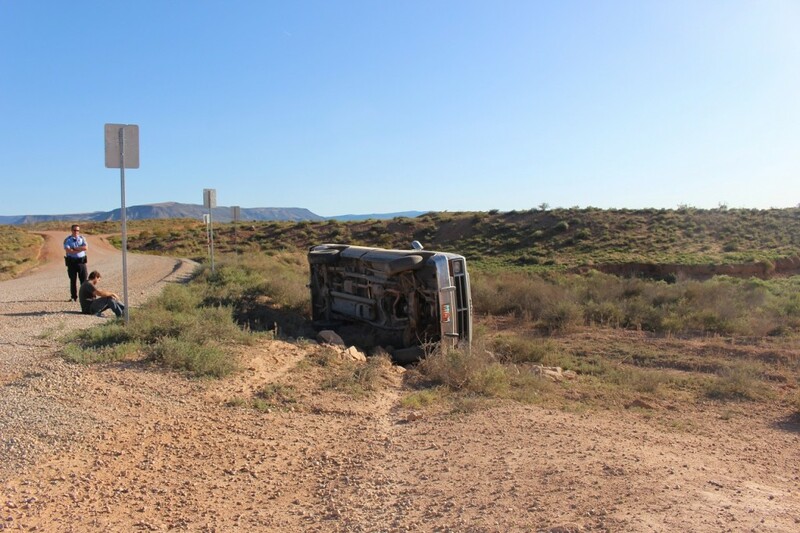 As officers from the St. George Police Department responded they found a young man sitting on the side of the road and an older model Dodge pickup truck sitting directly in front of the man, tipped on its side. The officers began assessing the scene while a Mohave County Sheriff’s deputy made his way to the accident site from several miles away. Once Deputy Jimmy Macias arrived, the driver told him he was traveling southbound on the Mt. Trumbull Loop and hit the brakes as he came upon a curve in the road. Instead of slowing down, the truck began to skid. Once he lost control of the truck it began to fishtail and spin around before it finally rolled off the road, landing driver’s side down. No emergency vehicles responded to the incident, as the driver reported he was not hurt, Macias said. A preliminary investigation was conducted and the driver was then cited for failure to maintain a lane, he said. The truck sustained visible damage, however the driver was waiting for some friends to come help him pull the truck to an upright position, hoping that he could drive it from the scene. Macias stated he could not leave while the truck remained on the side of the road and would wait until the young man’s friends came to assist him. 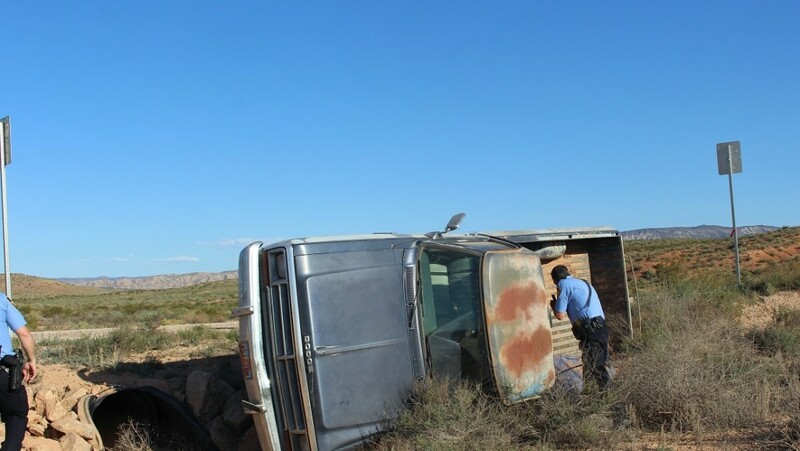 The St. George Police and Mohave County Sheriff’s Office responded to the scene.